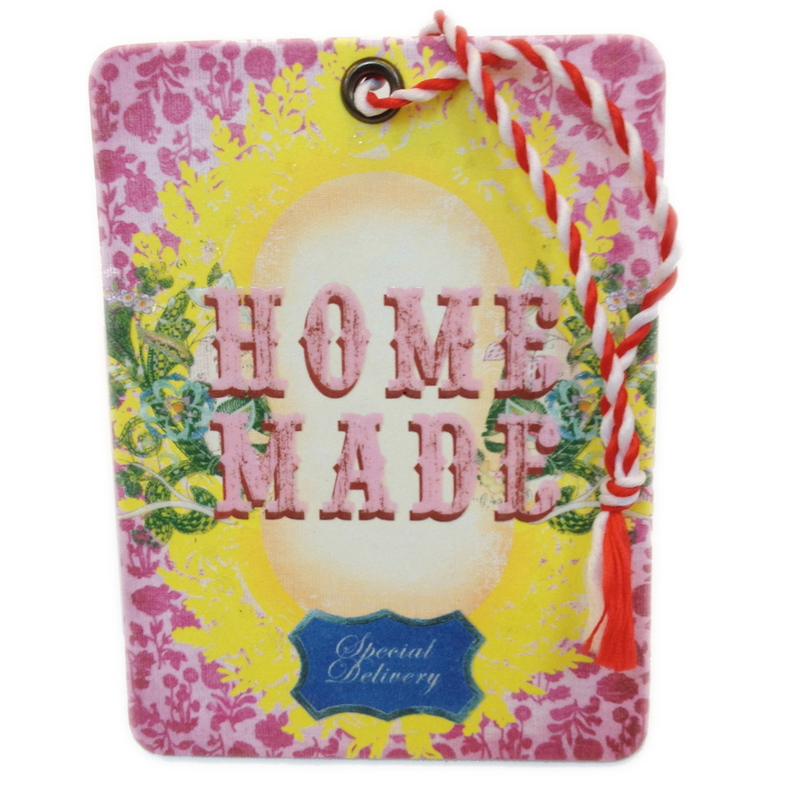 This "Home Made" and "Special Delivery" tag features a bright yellow frame over a pretty pink floral background. 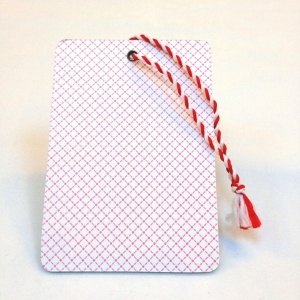 The tag has a matt red and white mesh pattern on the rear. Its metal reinforced eyelet and red & white string finishes it off beautifully. 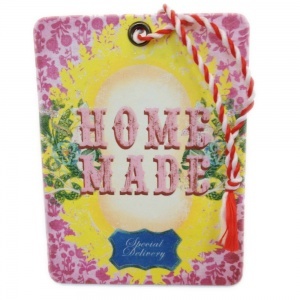 Measures approximately 9.1 x 7.1cm.